BREB Job Circular 2019 Publish.Bangladesh Rural Electrification Board Job Circular 20189 published by the daily newspaper. Bangladesh Rural Electrification Board Job Circular has been published there official website and jobscircular24.com. We have given Bangladesh Rural Electrification Board Jobs Circular all the updated information on this website. This circular they are 61 number of empty post will be taken by this requarment notice. If you want to build your career you can apply this jobs circular we are given all information for the jobs of Bangladesh Rural Electrification Board Jobs Circular 2019. 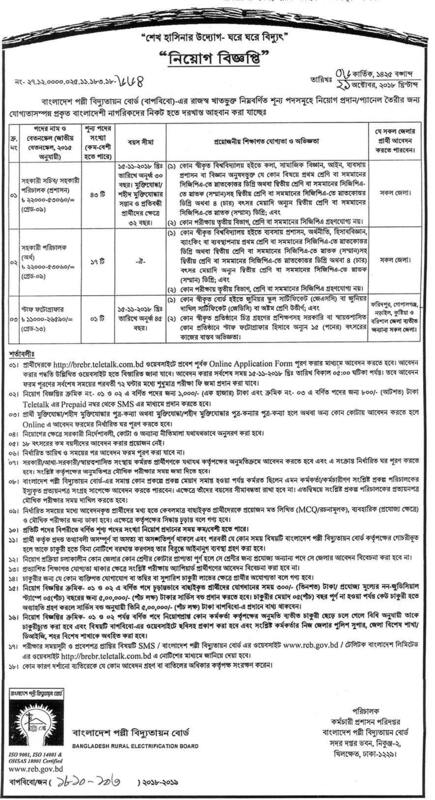 There is Assistant Secretary/ Assistant Director (Admin, Assistant Director (Finance), Staff Photographer the post will be taken Bangladesh Rural Electrification Board Jobs Circular 2019. Male and female are bought candidate will be attending this circular. Bangladesh Rural Electrification Board Jobs Circular 2019 important information are given below. Who are interested can be this page. We will be given here all apply information. Apply will be complied Online at first go to our apply to apply link there click this button then you can get a form. Please see this form and fill up carefully. When will be filled up all information then you can submit this. When will be given admit you can collect your admit card here we are given all post admit here. We also will be published here. This job exam seat plan here. As a result, you can download your exam seat plan here. BREB Job Circular 2019 exam result will be publish 2019. Bangladesh Rural Electrification Board Job Circular 2019 exam result can be download here. After completed, this exam will be published this exam result. So you can download easily Bangladesh Rural Electrification Board exam result 2019 here.